The fifteen plates of the Mutus Liber "the Mute Book," are well known, and this book without words is recognized as a classic of the seventeenth-century alchemical tradition. Although the engravings seem to outline an alchemical process in detail, their message is not immediately obvious and it really requires a commentary to make it intelligible to the present-day reader. Adam McLean's extensive commentary on this series of engravings reveals the Mutus Liber as a synthesis of spiritual, soul, and physical alchemy. While the entire secret of the physical process is not fully revealed in the plates, enough information is given to piece together details of a modus operandi; indeed, modern French alchemists like Canseliet and Barbault have found great inspiration and hints relating to the physical work in the Mutus Liber. 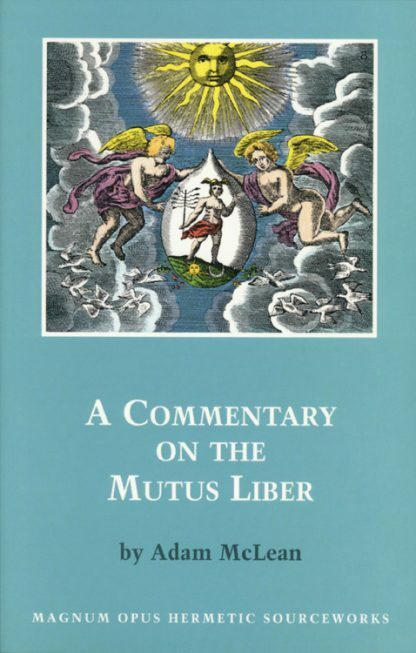 As one of the most significant documents of the alchemical tradition, this edition of the Mutus Liber will be appreciated by all students of the Hermetic tradition, for Adam McLean's fascinating and insightful commentary throws a penetrating light on both the spiritual and physical dimensions of the Great Work.